Eye Dull Musings: Art or Vandalism? 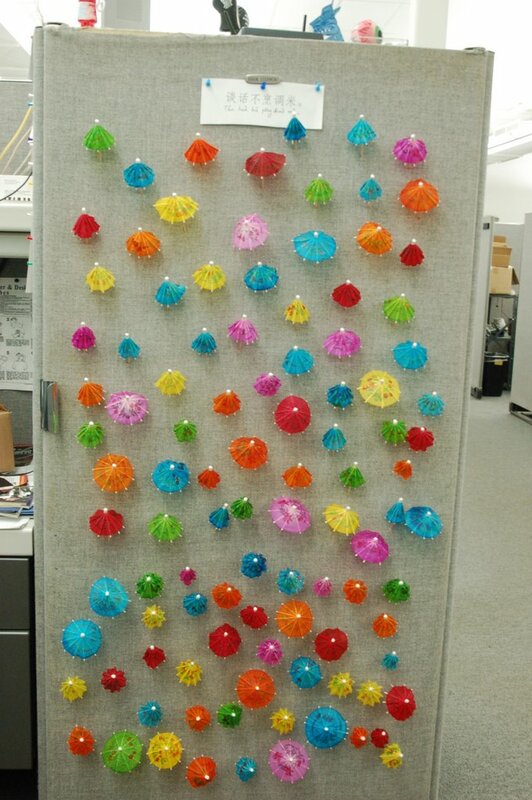 When I came back from my trip to Okinawa this past July, some coworkers got a bit creative with my office closet door. They took about 100 fancy drink umbrellas and stuck them on the inside of my closet. It looked pretty nice, but since it was on the inside of my closet door, no one else really got a chance to enjoy it - until this week. The office cubicle furniture is pretty modular and I noticed the door is reversable. So, I just removed one screw and flipped the door over. 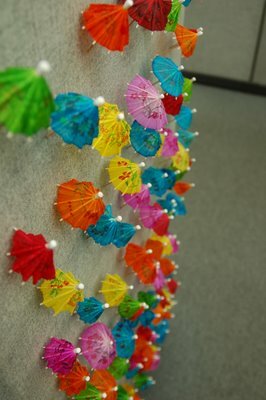 Now all the umbrellas are on the outside of my closet door for all to see. So, is it art or vandalism? I kind of like it. 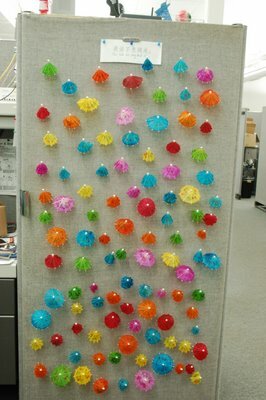 It definitely brightens up the otherwise all grey color scheme of the office. The main question I get from other people in the office is whether I drank all the drinks to get those umbrellas. That is awesome! You need to put even more of them on there. I agree, that's way cool! But, you knew I would say that.